Simple and self-explaining second generation assistant light! o Because speed is everything. First there is light, then comes the user interface! o 3 ways the light to turn on / off: shaking, screen input and the camera button on the phone. o Runs of course behind a locked screen and when making calls or hearing music. o Vibration and realistic "flashlight click" sound. o "Absence detection" automatically disables the light. o A user interface, which is designed to prevent false activation. o More App designs are available as a free download at any time and can be further extended without updating the app! 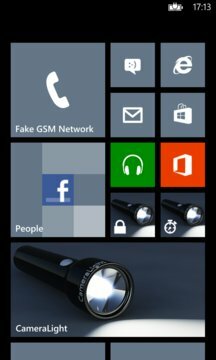 o LockLight and Rapid Light - two entirely purpose-oriented derivative of this app - are directly integrated and can be placed as a tile on your home screen. o Your mobile phone has no LED? The display can of course also be used as a light source. o Maximum flexibility: All functions can be adjusted as needed. 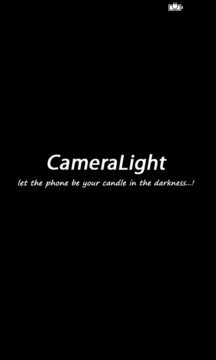 12) Use the display as a "flashlight"
This app is a hobby project, please apologize for any inconvenience!